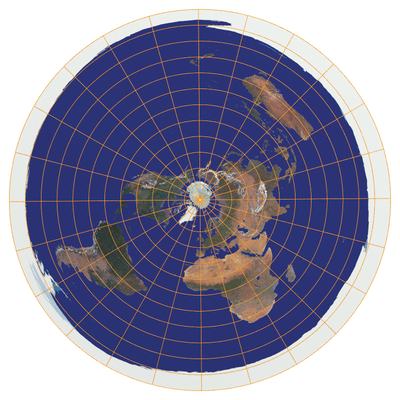 The so-called 'flat Earth doctrine' debunked in a couple of easy, verifiable steps. Images made with an escape time algorithm. All images were created in Ultrafractal. 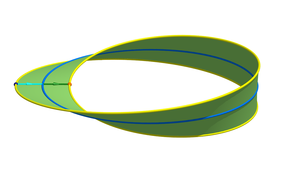 Visual proof that a Moebius strip is homeomorphic to a cross-cap with a disc removed. 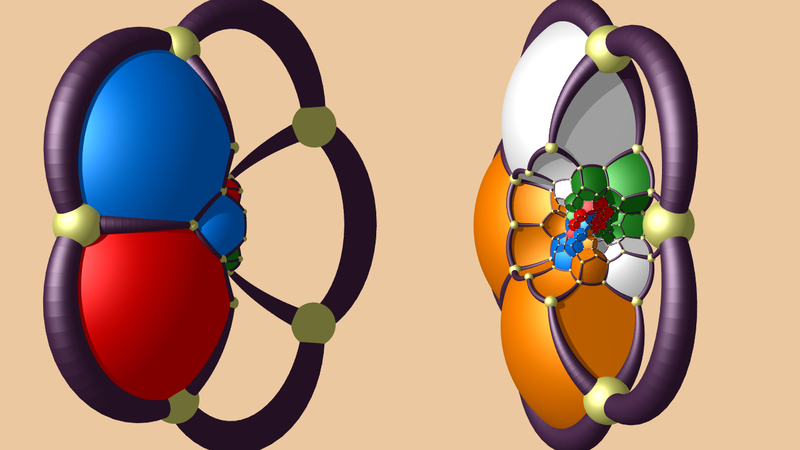 A dissection of the 120 cell in twelve rings of 10 dodecahedra. Two sets of six rings form 2 solid interlocked tori. The film starts by showing the 600 cell, the dual of the 120 cell. 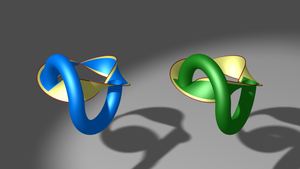 Connected sums of real projective plane and torus or Klein bottle. Visual proof that the connected sum of a real projective plane and a torus , and the connected sum of a real projective plane and a Klein bottle are homeomorphic. Where we enter the wonderful world first envisaged by Felix Klein. These pages where inspired by "Indra's Pearls" by David Mumford, Caroline Series and David Wright. Where we discover the art of assembling kissing circles, and find out what Doyle spirals are. Where we find impossible geometry, tesselations and even the Droste effect. Where we find Penrose, Voronoi and hyperbolic tilings..and where we have some fun with circles and spheres.We also encounter math surfaces, plane-filling curves, knot dynamics and take a mathematical look at the shape of Planet Earth. Things like Celtic knots, spirals and 'Looms". 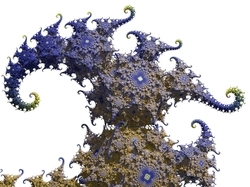 Fractal images, including general 3D fractals and the Mandelbulb.